Active ageing was the central theme of the meetings organised in Coniston in the Lake District in April 2014 in which four European countries took part: Italy, Slovenia, Austria and the United Kingdom. The speakers illustrated their different experiences in the art of growing old without ageing, establishing a comparison between the good practices tried out in the various towns. Caterina Piglionica of the A.P.I. (Iseo Senior Citizens Association) used “The European Year of active ageing. Goals and prospects” as a starting point. The cases of the University of the Third Age in Iseo and Ambleside (U3A) were then compared. Laura Piglionica from Universitas Ysei and Frances Green from Ambleside U3A University explained their programmes and activities, with the help of videos and slides, providing a lively exchange of experiences. The theme of active ageing to protect, preserve and spread the heritage of tradition was dealt with by Giuseppe Stefini from the Iseo Council and by Pieranna Faita from the SOMS (Workers’ Mutual Aid Society). The theme of the lake environment’s influence on psycho-physical wellbeing was dealt with in Peter Thornton’s presentation of sports projects and excursions in the Lake District National Park (LDNP). In connection with this, the visit to the popular tourist town of Bowness on Lake Windermere, was particularly interesting. Lakes can also be a source of inspiration for writers and poets, as was shown in the talk by Jane Adams in which the influence of Italian expanses of water on the artistic and cultural production of poets and men of letters was explored. On the trail of English Romantic poets the visit to the small village and tourist destination of Grasmere. The latter takes its name from the nearby lake and owes its fame to the fact that William Wordsworth lived there for fourteen years, describing it as “the loveliest spot that man hath ever found”. John Ruskin was a writer, painter, poet and British art critic who strongly influenced Victorian and Edwardian beauty with his interpretation of art and architecture and the guided tour of his home and museum provided a further cue for discussion. The schedule also included a visit to the Ruskin Museum in Coniston to discover the history and and traditions of the place. 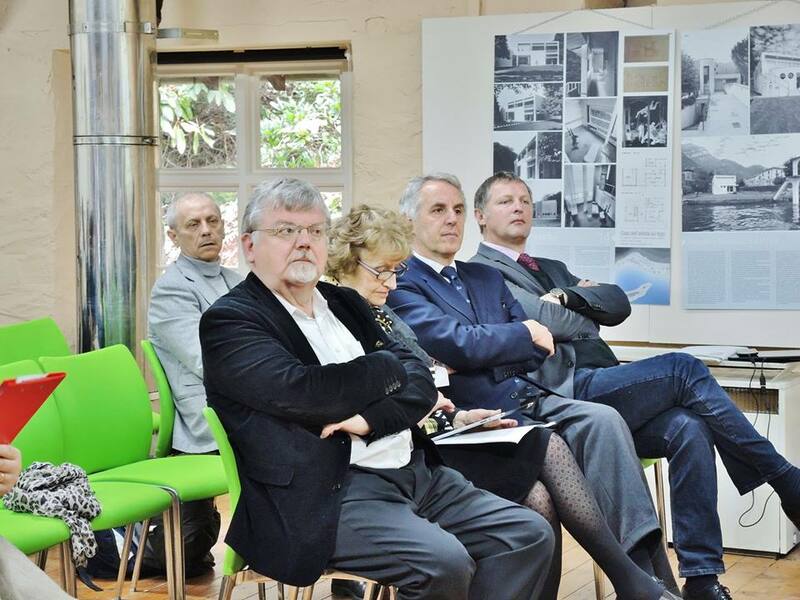 Many people present also had the opportunity to appreciate the touring exhibition dedicated to the architecture of lakes in the conference hall at Brantwood. The concerts given by two of the most important Italian pianists, Massimiliano Motterle (classical music) and Enrico Intra (jazz), were well-attended and greatly appreciated. One morning was dedicated to the explanation of European projects. Paolo Bonardi, an expert on European policies, described the new projects Europe for Citizens 2014-2020, Creative Europe and Life +. To finish off, a buffet lunch with typical Italian products offered an important networking opportunity to all those present.